Design Centre, Chelsea Harbour is year-round mecca for those looking for high-end interiors inspiration but during the annual London Design Festival it really comes to life as the host of the Focus fair. 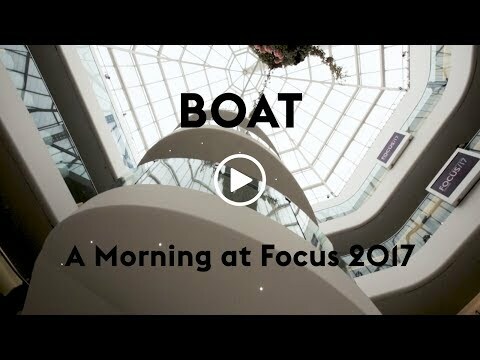 This year was no different – discover more from our morning at Focus/17 in the video below. Over 600 international brands took part in Focus/17 with many contributing towards an incredible programme of events, workshops, demonstrations and behind-the-scenes insights that offered guests a truly 360 degree approach to interior design and the craftsmanship behind it. 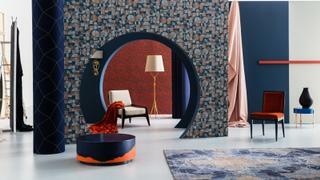 Highlights from our time at the show included a rug design session with Stark Carpets, the grand opening of Arteriors new showroom, a cooking demonstration with Tom Aiken and trend forecasting with Colour Hive and Victoria + Albert Baths. It was also the first opportunity for ourselves and many other visitors to discover the wealth of brands in the recently opened Design Centre East. For those wanting a real peek behind the curtain, Focus/17’s Conversations in Design series offered an illuminating look into the industry as well as highlighting key trends for the season and providing plenty of take-home inspiration. We particularly enjoyed a discussion between designer Bill Amberg, glassblower Michael Ruh and MoreySmith co-founder Linday Morey-Burrows on the importance of bespoke craft in interior projects while this year’s other fascinating keynote speakers included Spanish architect Patricia Urquiola, interior designer Katharine Pooley, furniture specialist William Yeoward and landscape architect Kim Wilkie.